Peter W. Cookson, Jr. is the director of the Equity Project, principal researcher at the American Institutes for Research (AIR), and is an adjunct professor teaching Sociology at Georgetown University. He is president of Ideas without Borders, an educational consulting firm specializing in twenty-first century education, technology, and human rights. Prior to working at AIR, Peter was the managing director of Education Sector. 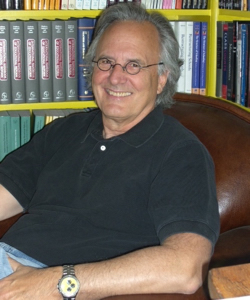 Peter is the author of 20 books on education and educational reform; his most recent work includes Sacred Trust: A Children’s Educational Bill of Rights (2011); Hearts on Fire: Stories of Today’s Visionaries Igniting Idealism into Action (2013, with Jill W. Iscol, forward by President Bill Clinton); and Class Rules: Exposing Inequality in American High School (2013), which was voted the best book of the year in 2014 by the Society of Professors of Education.